Close to golf, tennis, parks, playgrounds and to shops, markets, cafes and nightspots. Short walk to public transport to harbour ferries and all the sights of Sydney. Minutes to horse racing, Stadium Australia (football etc), Sydney Cricket Ground and Centennial Park (the city's main park). View's over the bay are better than the photo's. Very enjoyable stay, easy access to the bay and to the Bondi-Coogee walk trail. We had an amazing holiday in Syndey staying at this house. We had two families for a total of 12 people with ages ranging from 5-56. The house itself was perfect...plenty of room for everyone!! 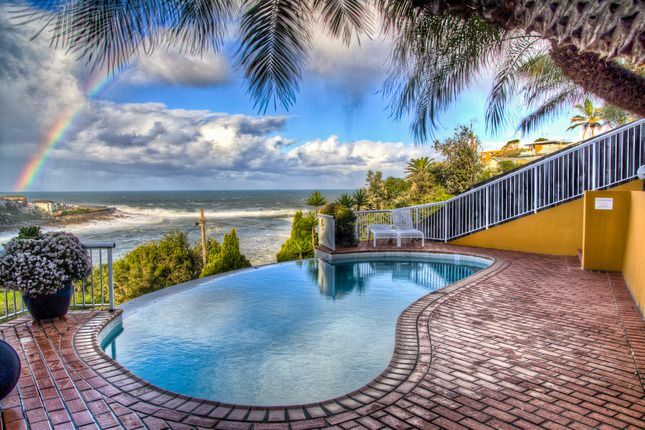 The view of Gordan's Bay is absolutely amazing. The kids (6 of them) loved walking down to the beach and playing on the rocks and in the sand daily. It was an easy walk to Coogee beach and although longer, the walk to Bondi is breathless. The location of this house was perfect! Super close to the city. Nothing was more than a 15 min drive. The house itself had everything we needed...very well equipped from the kitchen to the family room to the sand toys. AND have I mentioned the view!??? The views off the back side of this house are simply stunning! We would go back to this exact house in a heartbeat!!! It's PERFECT!! This place is even better in real life than in the photo's. Not only is the entire house luxurious and relaxing, but the views and close access to the water near by are second to none. We had a blast and are already planning our next getaway to stay at this place. A spacious home with spectacular views & easterly aspect out over the Pacific Ocean/Gordon's Bay. Easy & great access to the wonderful Coogee to Bronte to Bondi waterfront walking track - truly spectacular & great exercise !! Easy 5-10 min walk to shops, coffee, cafes & bars The Pavilion at Coogee a real family-friendly standout !!). Slightly dated furniture, beds, decor. Not particularly baby/toddler-friendly house. A great holiday overall (including the NQ Cowboys winning the NRL Grand Final during our stay) !! This was a wonderful place to stay, a world away from our usual day-to-day existence. We didn't need books, or puzzles or television because we had a spectacular view, day and night. Yet, anything we could have wished for was available in the house. A perfect holiday, perfect house and perfect location.